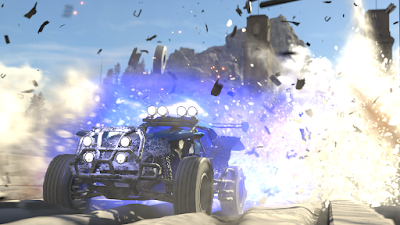 Codemasters have announced that their action packed - arcade racer Onrush is available now for PlayStation 4 and Xbox One! Onrush emphasises team play as it removes traditional racing staples such as the start/finish line and offers fresh new game modes designed to accentuate fun, creativity and raw adrenaline. Players will have to work together with their team mates, utilising the games different vehicle classes, each with their own unique strengths and abilities to wreak carnage and take the win for their team.